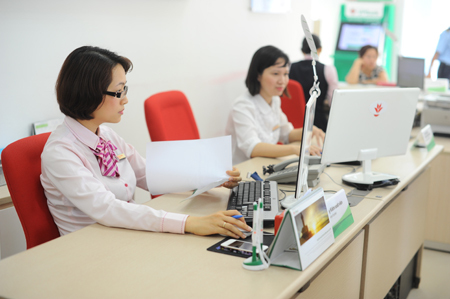 Aiming to facilitate ticket agents of Jetstar Pacific in issuing tickets to customers, Vietnam Prosperity Joint-Stock Commercial Bank (VPBank) has recently launched the program “Top-Up Agency Service of Jetstar Pacific Airfares” for ticket agents. Accordingly, as soon as agents successfully deposit cash or transfer via the internet banking (I2B) at VPBank, agents may issue tickets immediately, quickly, and efficiently. Specifically, right after agents successfully deposit cash or transfer money at VPBank, VPBank will credit to Jetstar Pacific’s account and immediately send the top-up information to Jetstar Pacific system. As soon as the top-up information is recorded by Jetstar Pacific, agents can issue tickets to customers without verification documents as before. Top-up transactions are completely free at VPBank. In addition, ticket agents do not need to deposit money directly at VPBank’s counters, but they can transfer money through VPBank’s Internet banking services (I2B). This means agents will no longer be dependent on the Bank’s working hours, but transfer money anywhere and anytime, which brings convenience for them to issue tickets to customers. This is the outstanding characteristics of this product. Moreover, if customers transfer from other banks to Jetstar Pacific’s account at VPBank, VPBank will then perform top-up for agents with the condition that the remittance content must contain agent code.To make it easier for agents to use top-up service for airfares, please refer to the service manual Here. With the expansion of cooperation with service providers and our commitment to secure customers’ personal information, VPBank desires to offer packages with prominent advantages and thereby bring prosperity to customers’ life. For more information, please contact: 1900 545 415 or 04 3928 8880 or visit the website: www.vpbank.com.vn.